Thanks for such a quick post on this issue and for letting me know. The div align bits before and after after do indeed centre the text very well. But this does not work for widgets. I tried it on my cluster map and the writing inspiration quotes. What am I doing wrong? One more suggestion for you to address for your readers - how to put in a sidebar title background. Thanks again for the nice comment on my blog and keep up the good work. We tried all the methods in our Blogger blogs when we wrote this article. There is already an article on Sidebar Title Background Color and Image. Can take a look. hi,first of all thanks for the great site !!! I'm trying to align the Google search bar from the left to the center. in the below example ,,just what line of the code goes replaces " TEXT TO BE CENTERED"? Use the DIV alignment tags (see the section in the article) and insert the Google code between the tags. I am wondering how to center the actual page elements while keeping the text and pics inside those elements left justified. Where do I put code to center the entire frame? I got all the page elements on the sidebars centered... except the blog archive. For some reason it won't center. I have one more issue that I'm trying to figure out (if you are up to it). The banner that I uploaded displays... sometimes. Sometimes it doesn't. I have tried saving the image as a jpeg, gif, etc. Have you ever seen this issue? What I'm I doing wrong? If it is a valid picture file, it should display. If the file size is big, it may take a longer while when the page loads. Try reducing the file size and see if the problem persists. I recently had my page redesigned, and some sidebar links are centered; some are to the left. I'd like them all to the left. How do I do this? I just sent a comment...but wanted to let you know that I found out the answer to my own question. Thanks for your blog - it helps a lot! how to e-mail bizwhiz? if i want to ask a question? I have a blog http://lwcfamily.blogspot.com. Manage to download image files but the images appear to be in black and white instead of colours on the blog. When click on the images, the new windows appear with bigger image with colours. Please enlighten me how to solve my problems. To start off, I would like to say that this is a great site! Very helpful indeed. I also have a question, and this was the most relevant post I could find. I have tested viewing my blog on a 17" computer screen, and as far as I can tell, it fits nicely. However, for widescreen users, my blog is aligned to the left. Is there a way to centralize it? and the closing-/div after the widget list. This works for all. But how can I make only the widgets be centered, but not the text of the posts? Thank you for any tip. if you want to align to the center of a page, may i suggest the solution outlined here. Its fully browser compatible. to your views and suggestion. I need your help! I am a lowly blogger mama and I have been tweaking with your 3 column layout for minima. I have tried to use the coed to have the posts centered with the sidebars on EACH side. And I am still coming up with two sidebars on the right side. I even tried to use the codes that are set for two sidebars on the right thinking they were switched. But to no avail. Can you help me? 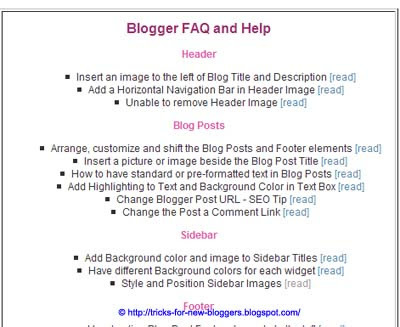 can u tell how to prevent content being copied in blog?.. I was wondering if you know how to make a blog page appear in the center of the screen no matter what's your monitor size? If you know, can you give me the codes for that? thanks. I am trying to change to the minima 3 column template and I can not get it to work. Do you have any sugestions?? Firstly, thank you for this post it has helped me so much. I have center aligned all HTML elements in my sidebar, but am having trouble with my archive and google translate gadgets...basically all of my blogger gadgets. I have tried 'Center align one element' and 'DIV alignment tags' but think I must be putting the code in the wrong place because when I go to preview Blogger tells me that there is an issue with the code. For some reason after making a recent post, it screwed up our layout. Now, all the elements of the sidebar are at the bottom of the page. I can't figure out how to get it back to the side. Could you take a look? I have a blog named "BollywoodMusicHub.blogspot.com" and i am using the AdBrite Ads..
at the Footer of the page I have put one ad which is left aligned and instead of it I want it in "Center"..
You are THE best!!! The fact that my $%#@ing blog header wouldn't center and there was no simple user interface option has pissed me off for over a year now. It just seemed so obvious that 98% of people would want that functionality. Your instructions were clear, dummy proof, and took me less than 3 minutes to implement. I added you to my Facebook and will be adding you to my blog as well. I understand blogs do take sometime to grow and can take months of work to do, but over time it is well worth it and i also agree that understanding pagerank and how it does work can be quite tedious sometimes when going to different sites because they can vary, and i agree when finding the right tool that works, a person should stick with using it. I always wanted to align my ads on the center but was unable to do so but with the help of your article I managed to do so thanks buddy. 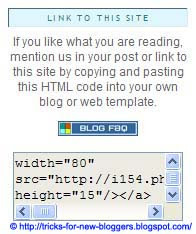 I loved this post, worked perfectly for aligning my adsense banner in the middle for http://zeenatboutique.blogspot.com/2009/10/latest-asian-fashion-2009-at-zeenat.html. This website has helped me so much.. Thank you very much. wow! the center align page elements post was very useful! Thanks!!!! ive been coming back to your site for more tips to improve my blog. im really grateful for all the tips! the title also gets centered. i just want the image the widget centered, and not the title. pls help! Actually I tried this on my Writing blog because I wanted to center the Blogger logo so that the blog would look better organized. But I followed your instruction but it still didn't work. My blog is at http://awritersblog-martinm377.blogspot.com/ - can you tell me what I am doing wrong?